at the University of Texas Austin (UT) last Thursday, likely further validated the use of race in admissions policies around the country. For the Asian-American students and organisations who feel that discrimination runs deep within the college admissions process, the ruling has fuelled dismay. 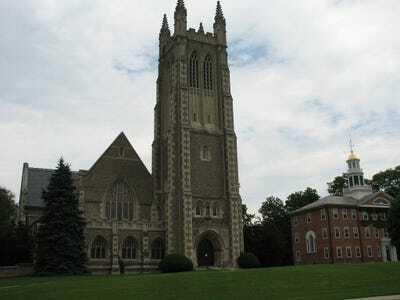 “I feel disappointed with the court and what they’re trying to do because I feel like they are just trying to avoid the issue of dealing with affirmative action right away,” Michael Wang, a rising senior at Williams College, told Business Insider. As an Asian-American, the issue of affirmative action is a personal cause for Wang. With a perfect ACT score and 13 Advanced Placement courses under his belt, he applied to seven Ivy League universities and Stanford in 2013. 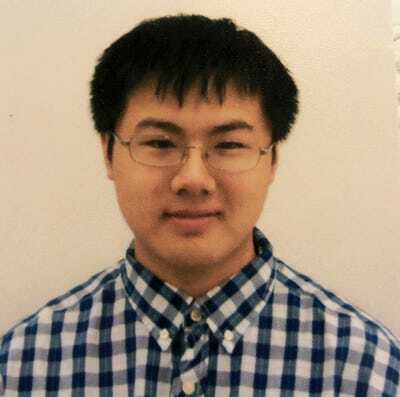 After most of them rejected him, Wang filed a complaint with the US Department of Education alleging that Yale, Stanford, and Princeton discriminated against him because of his race. In its recent decision, Wang feels the justices are considering the policies at specific schools to avoid ruling on affirmative action broadly. “Sandra Day O’Connor in ’03 stated that in 25 years we wouldn’t need affirmative action. I feel that what the Supreme Court is doing right now is delaying that 25 years and saying ‘we won’t deal with it now, lets’ deal with it in 2028,” Wang said. Wang suspected his race might work against him. But he was still shocked when he received rejection letters from Stanford and every Ivy League school except for the University of Pennsylvania. Wang says he worked incredibly hard and excelled in every area possible. But it still wasn’t good enough. “There was nothing humanly possible I could do,” Wang told Business Insider last year, adding he felt utterly demoralized after his rejections. He has yet to receive a response from the Department of Education. “Still no updates on that — complete quiet,” he said. Wang isn’t alone in his belief that the Ivies discriminate against Asian-Americans. A coalition of more than 60 Asian-American groups filed a lawsuit against Harvard in 2015 alleging the college and other Ivy League institutions use racial quotas to admit students to the detriment of more qualified Asian-American applicants. Though Wang was surprised that the court issued a ruling so quickly on the Fisher v. UT case, he doesn’t necessarily think pending court cases brought by Asian-Americans against purported discriminator in college admissions took a hit. The ruling stated that colleges must “very objectively prove why they need to use affirmative action to achieve diversity,” Wang explained. In Wang’s mind, Harvard isn’t being transparent enough with its requirements for different students. Wang’s credentials are impressive. Academically, he was ranked second in his class and graduated with a 4.67 weighted grade point average. He scored a 2230 on his SAT, placing him in the 99th percentile of students who took the exam. He also stressed that he was not just academically driven, but also a well-rounded applicant who maximized his extracurricular activities. He competed in national speech and debate competitions and maths competitions. He also plays the piano and performed in the choir that sang at President Barack Obama’s 2008 inauguration. For now, he’s enjoying his time at Williams College. And while Williams consistently ranks near the top if not No. 1 in the US News and World Report’s rankings of liberal-arts colleges, Wang still feels as if he was unfairly rejected from the Ivies.